Why settle for a plain old ordinary stepladder? Step up to a new level of home chic with the Flo Stepladder, designed by Marcello Ziliani. 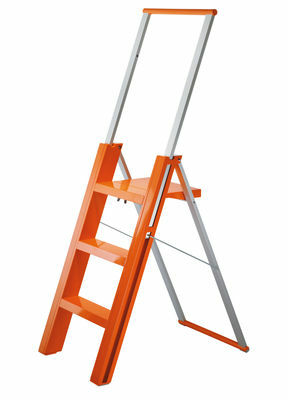 A stepladder needs to be sturdy, compact and easy on the eyes. The Flò is just that, providing a strong and versatile step that's easy to use and easy to store, all in a nice looking package. 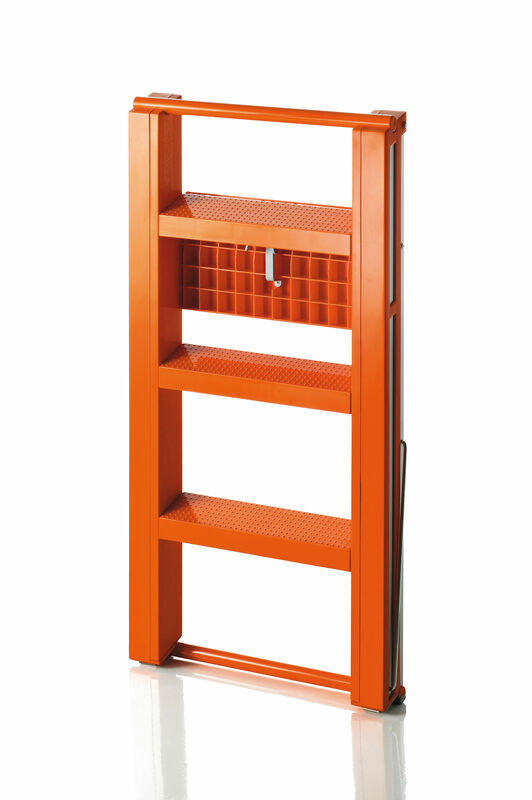 Opening and closing of the Flò is activated by simply pulling up or lowering the cross piece of the safety barrier. Very light and durable this little helper is great for reaching top shelf in your kitchen or replacing a light bulb at the ceiling. Made from anodized aluminum and bright colored ABS steps. TUV certified.